Happy Tuesday! I have a gorgeous bundle of brand new products from Dior at FeelUnique to share with you today. 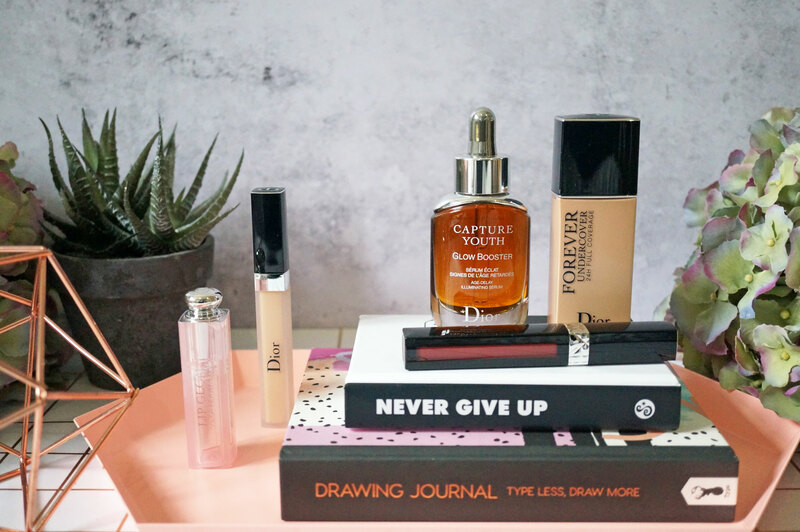 I’ve got a new foundation and concealer, as well as a couple of lip products and a fabulous new serum. Let’s get stuck in! 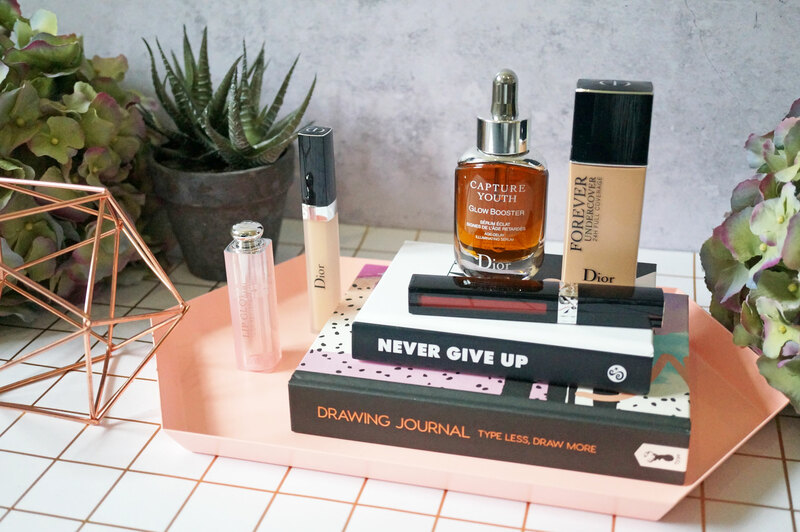 Starting with the DiorSkin Forever Undercover Foundation (Top swatch, £34.00) – the DiorSkin Forever Undercover Foundation promises 24 hour full coverage with a natural matte finish, that’s kiss proof, touch proof and life proof. Unfortunately I have slightly the wrong shade for me, this is 020 Beige Clair which is just a bit too dark. Not to worry though, in the interest of science I still went ahead and tried it out in the privacy of my own home! The DiorSkin Forever Undercover Foundation consistency is a light, runny liquid, and offers high pigmentation to give a pretty much full coverage finish, depending on how you apply it. I found that a quick application with fingers gives a nice medium level of coverage, but application with a beauty blender gives a more full coverage, flawless look. And I have to say, Dior wasn’t wrong when they said this foundation has a natural matte finish. 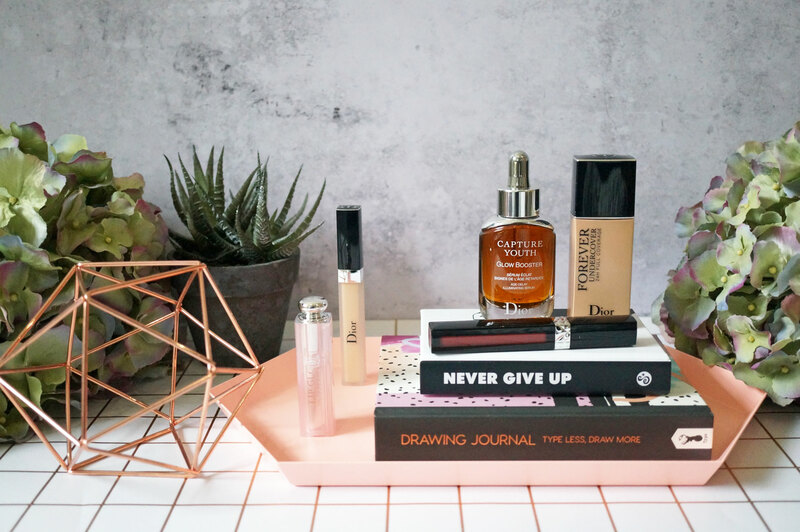 There’s nothing chalky about this foundation whatsoever – which I have to be careful of when it comes to matte foundations as my skin tends to be on the dry side. The finish is very true to life, and almost undetectable. If you’re looking for a lightweight, full coverage foundation that looks super natural, this could definitely be the one for you. 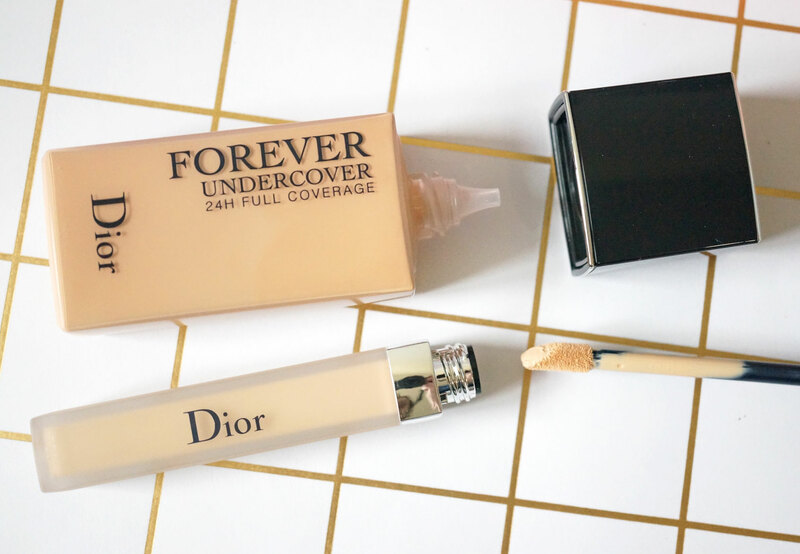 I also have the DiorSkin Forever Concealer (£21.00) – which is the perfect partner for the above foundation. It contains 25% more pigment than the foundation, and promises to instantly camouflage imperfections. It’s also water resistant and gives up to 8 hours of wear. So for this product I do have the right shade! 101 Ivory was just right for my pale complexion. 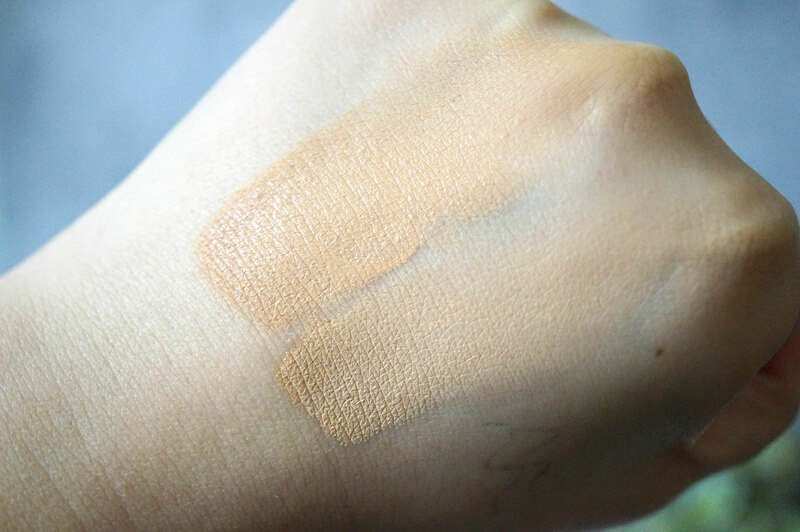 And just like I expected, this concealer is basically a more intense version of the forever Foundation. It worked fantastically well on my under eye area, giving natural looking coverage, without emphasising my fine lines. 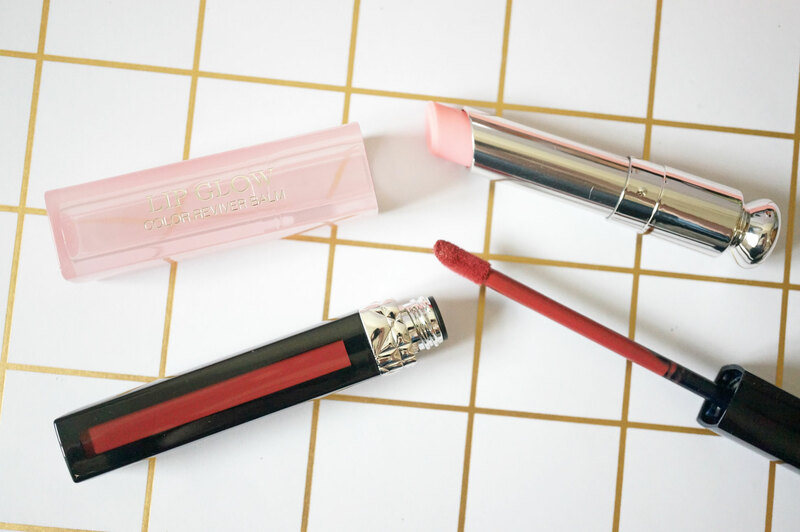 Onto lips now, the new Dior Addict Lipglow Backstage Pros Matte (right swatch, £26.00) is the first colour reviver lip balm by Dior, combining the comfort of a balm with a touch of colour for a tailor-made flush of pink. Its secret lies in a perfect balance between make-up and lip care. The formula reacts to the pH level of your lips, providing a natural flush of customised pink. In terms of comfort, the formula is enriched with mango butter, ensuring up to 24-hour hydration. I also have one of the new Rouge Dior Liquid Lip Stains (£27.50) – available in three finishes – matte, satin and metal, these lip stains promise intense couture colour with a 12 hour extreme long-wear finish. The Rouge Dior Liquid formula contains mineral wax, ultra-fine silica powder and oils to give intense pigmentation, which perfectly glides over the lips for a long-wearing result. Equipped with a reservoir that takes up and deposits just the right amount of product, its fine applicator is the perfect tool for outlining the lips with precision. I have shade 625 Mysterious Matte, which I’d describe as a fairly deep rose pink. 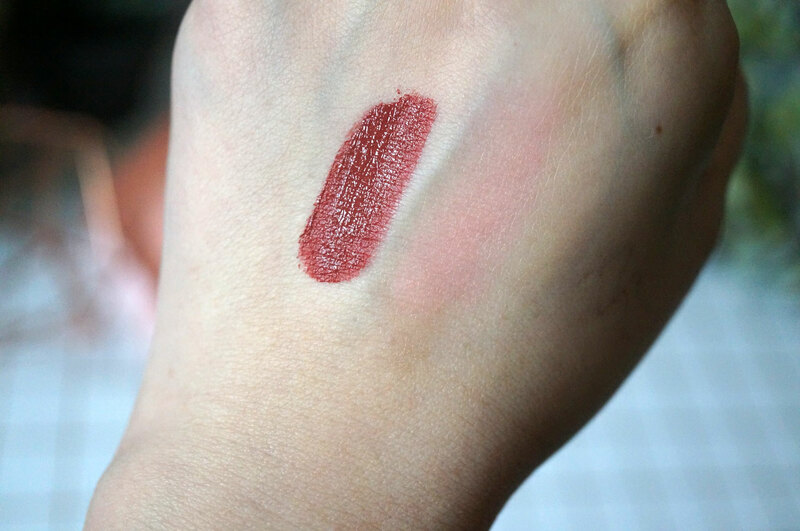 I have to say, this is easily now one of my favourite matte liquid lipsticks. It’s not drying whatsoever, and though it’s not completely smudge or transfer proof, the finish is just beautiful, and most importantly, extremely comfortable on the lips. 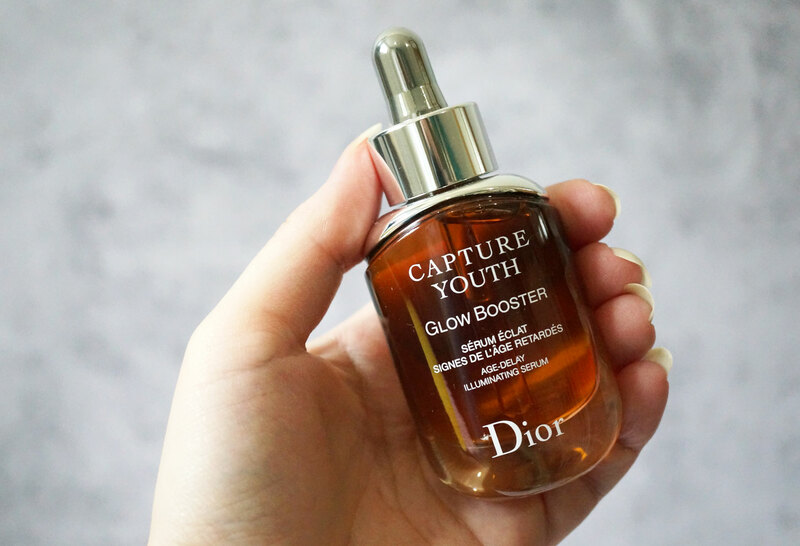 And lastly I have the new Dior Capture Youth Cream Serum Glow (£75.00) – described as a radiance concentrate, the Dior Capture Youth Crème Serum Glow is composed of 80% naturally derived ingredients, including Kakadu plum which is 100 times more concentrated in vitamin C than an orange. The serum offers an exfoliating effect, whilst being specially formulated to be gentle on skin. It promises to leave you with an invigorated, fresh, glowing complexion. Dior advise to use this with their Capture Youth Cream, where you just add a couple of drops of serum to the cream before application. Or you can of course just use this as a booster with your normal moisturiser, which is what I’ve been doing. I’ve used this a few times now and and though on the pricey side, I think it’s a fantastic booster to add to your normal moisturiser if your skin’s in need of a bit of extra TLC. There are also other options available, including a Redness Soother, Plump Filler, and Lift Sculptor to name a few, so you can choose depending on your own skin concerns. You can shop the above Dior products now at FeelUnique.